General Motors Paint Shop Addition – Westphal & Co.
Westphal & Co., Inc. completed installation of a material handling conveyor for the General Motors Paint Shop facility located in Lansing, MI. 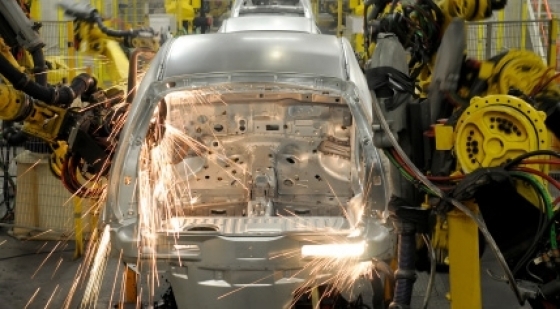 The plant was built to meet new demand for Cross-Over-Vehicles (CUV’s). The project included skid conveyors, inverted mono-rail conveyors, and pendulum conveyors interlocked with robotic cells, paint booths, ovens, and dip tanks. Field wiring installation for 36 separate conveyor systems was completed, including control devices, motors, interlocks, Ethernet cabling, and Devicenet cabling.